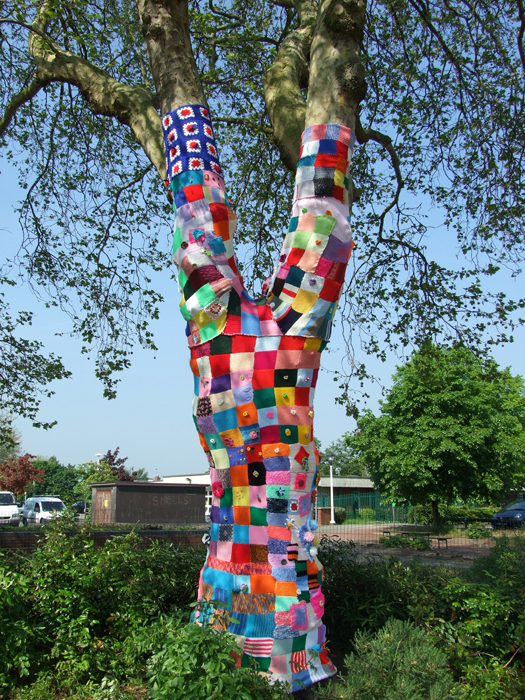 We finally got the Tree Cozy project completed!!!! horaahhhh. Infact, we didn't just install one large Tree Cozy, but we managed to cover 19 other small trees around the town. 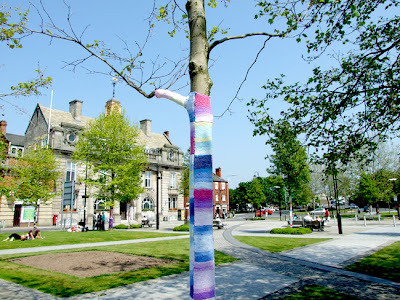 Here are come brilliant images from the 23rd May, a very hot and sticky day was had by all, but it was well worth it. Thank you to all of the ladies who attended yesterdays session in Crewe to do the final bit of sewing up and to knit some very fottong red white and blue squares for an extra tree we will be covering at the Municipal Square in the town centre. Many, many thanks to Suzy Crompton who has created this wonderful collection of hand knitted squares for the Tree Cozy, complete with a little tag and charming kitted mouse!! We are very, very nearly ready to insall the tree cozy project in Crewe. 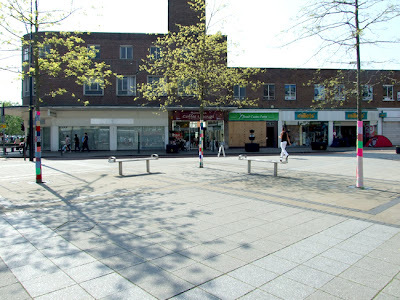 It's going to be far bigger and better than we ever anticipated. 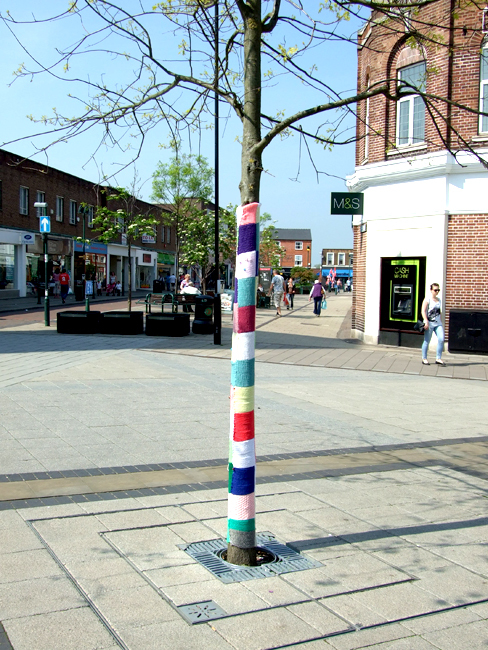 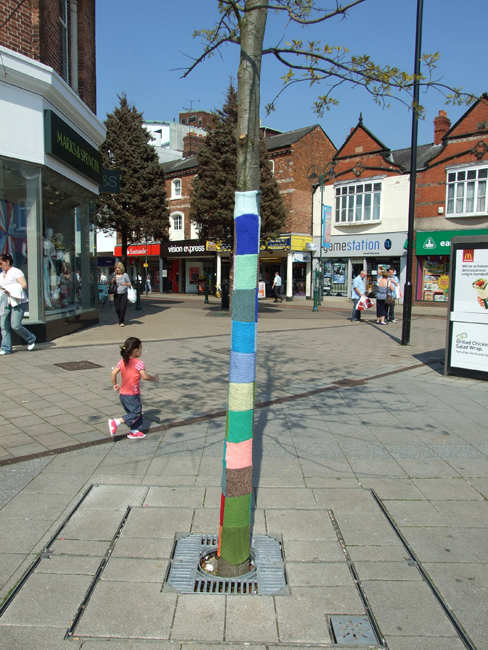 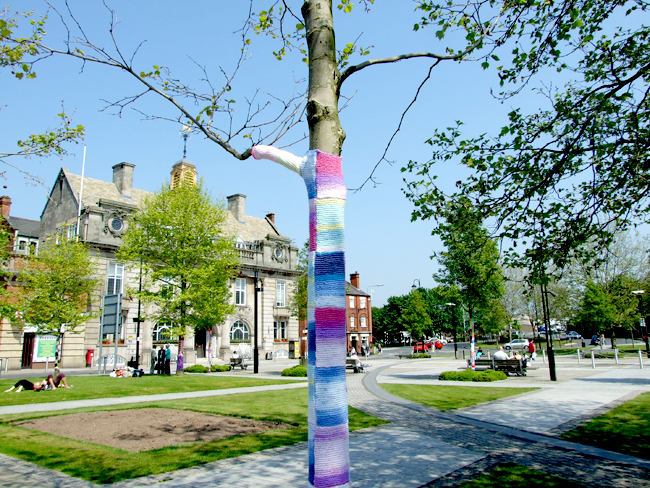 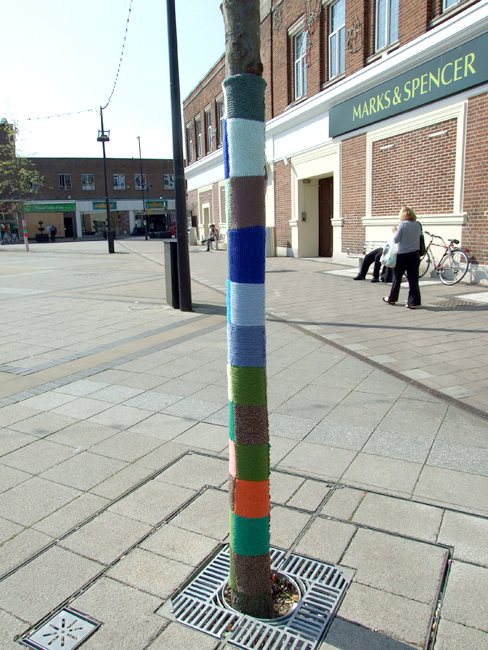 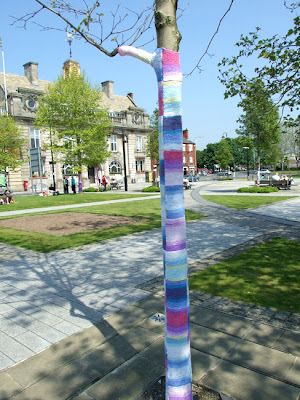 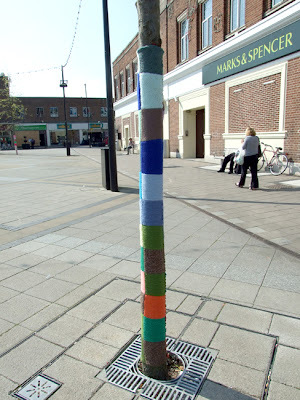 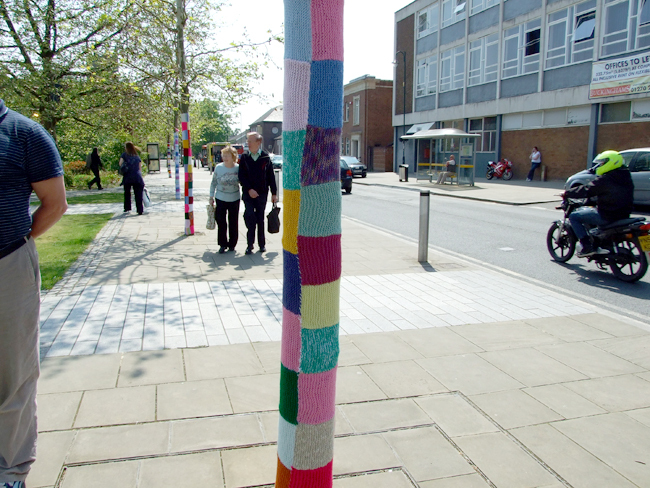 we've been measuing up extra trees in the town centre to install the knitting around - we know it's going to look amazing!!! 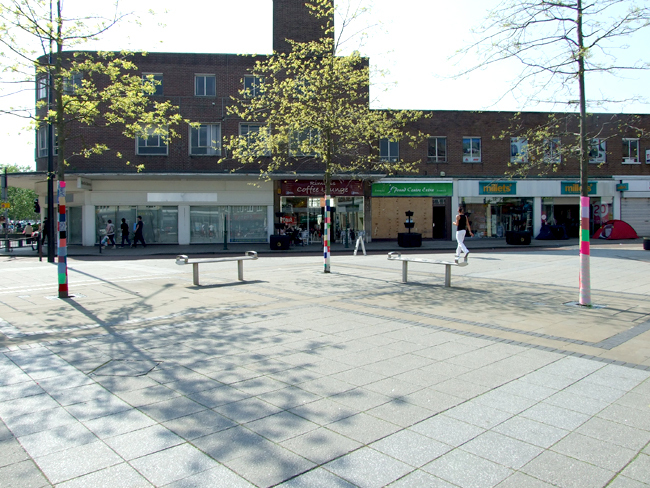 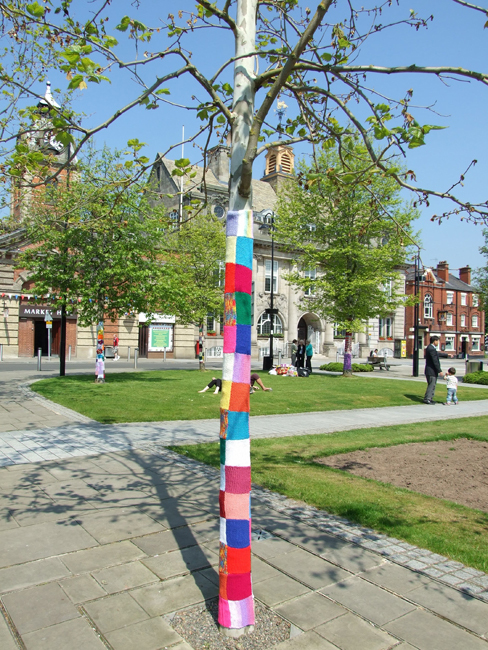 We're having one final get together before we diaply all of your hard work and creations in Crewe town centre. 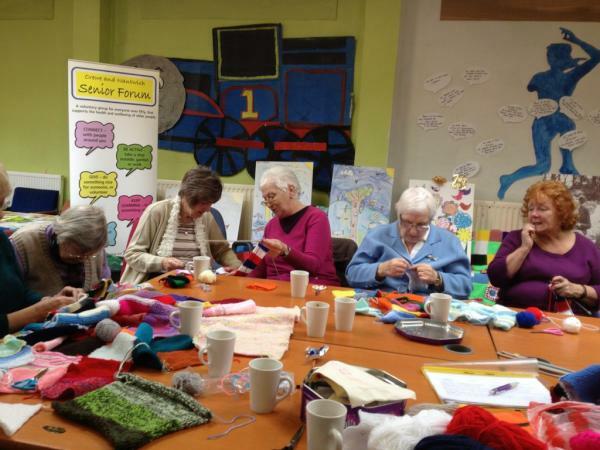 Everyone is welcome, whether you want to sit and sew, knit, or just pop along and say hello, you are very welcome to join us. 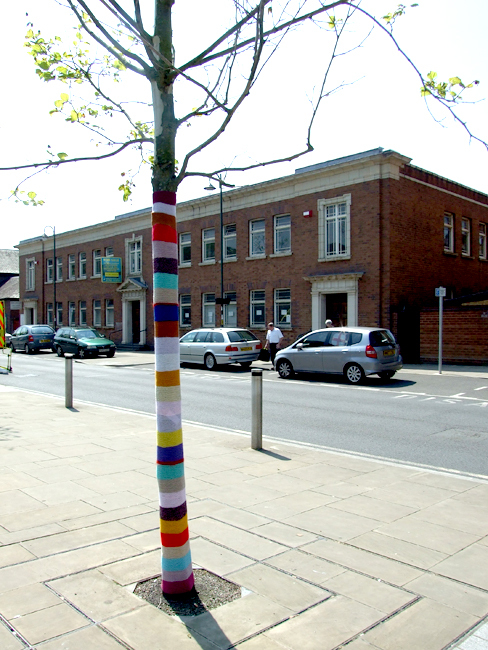 Our next project meet up is on Friday 27th April at the Autism Resource Centre in Crewe Town Centre. 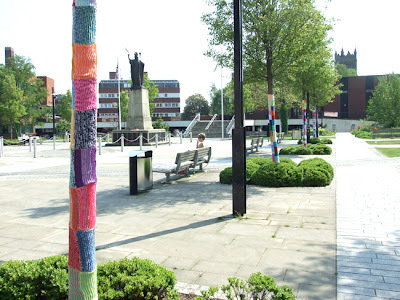 We'll be doing some extra knitting, crochet and sewing and every one is welcome to come along and help us out. This is the project blog for The Tree Cozy Project at Jubilee Gardens, Crewe (UK). This blog has all the information you will need in order to take part in this project. 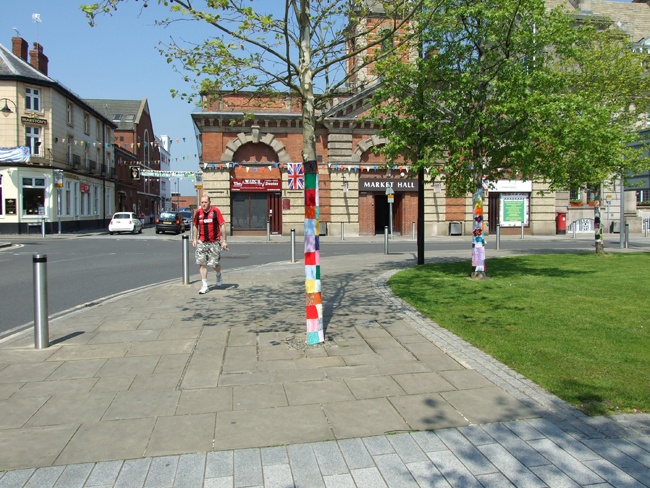 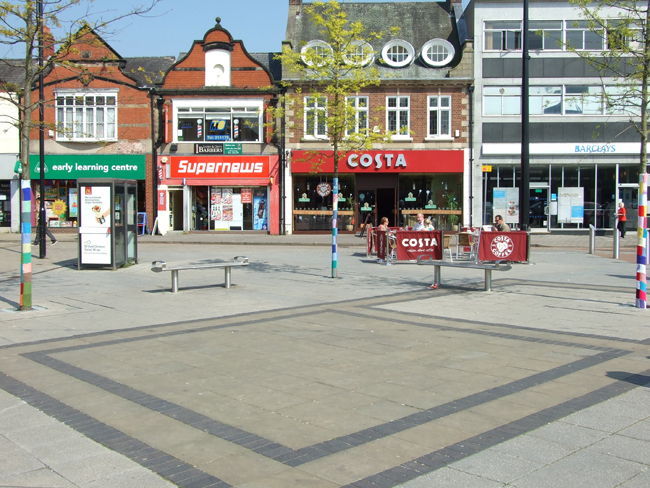 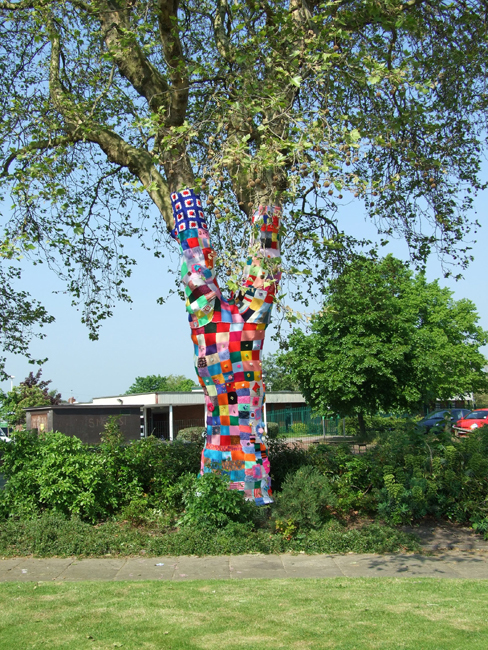 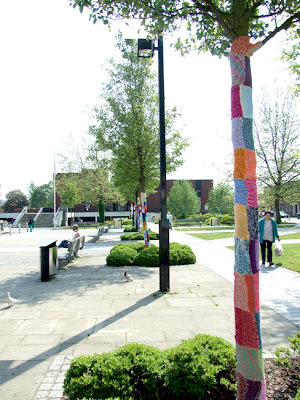 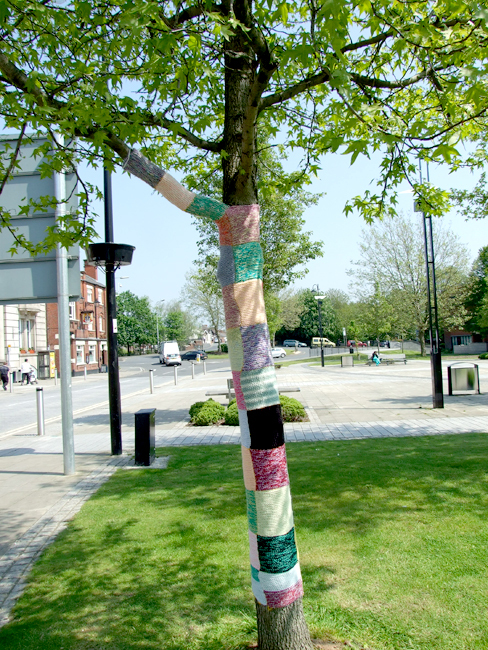 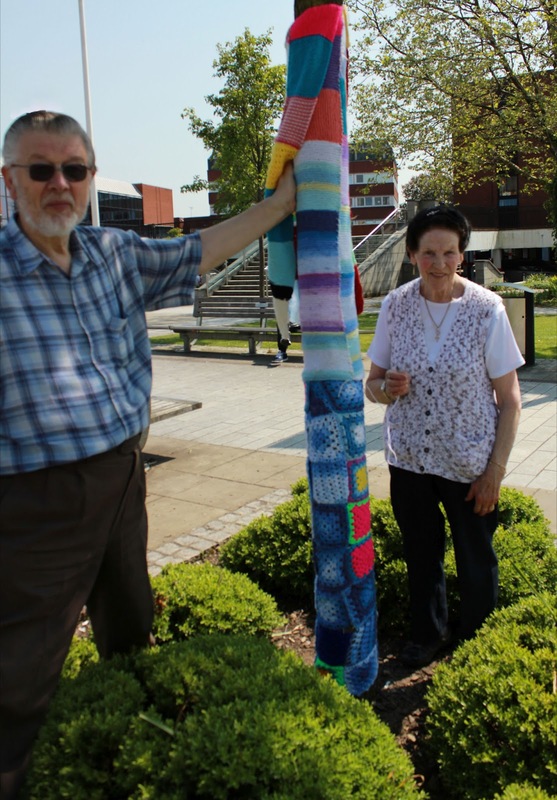 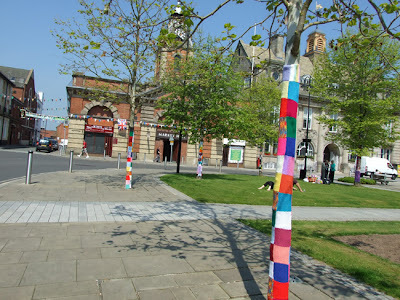 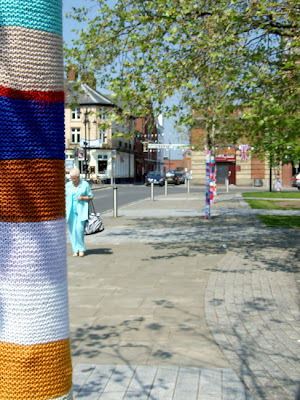 We are inviting crafters from across the globe to knit and crochet squares so that we can cover two huge trees in Jubilee Gardens in Crewe, East Cheshire UK. 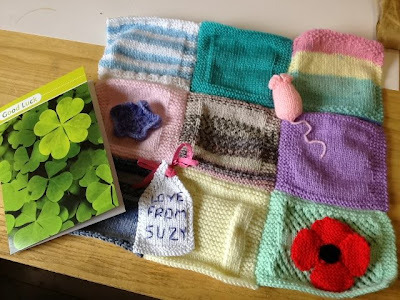 Please have a browse around the blog and feel free to leave a comment on any of the blog entries.